A childhood hip injury meant that Market Lavington resident Frank Davis was unable to enlist along with his pals when war broke out in 1914. 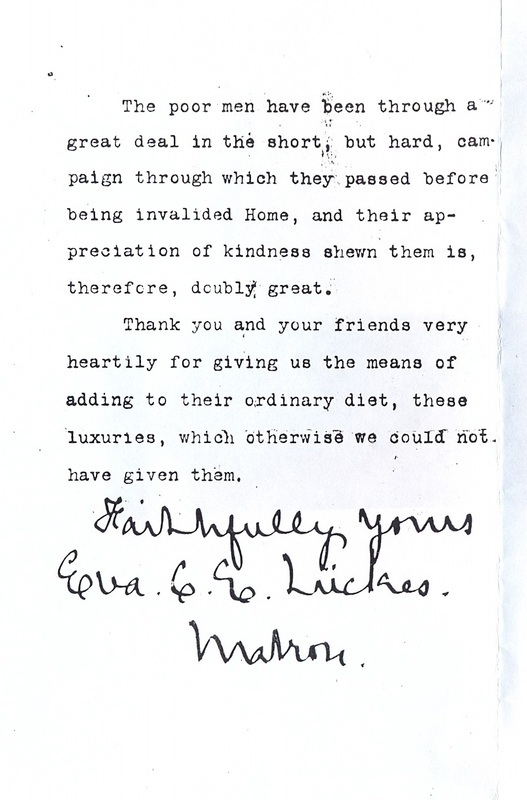 Determined to ‘do his bit’ for the war effort, he chose to help in the way he knew best. Frank grew vegetables in his market garden and drove them weekly – along with other village folk’s offerings – in his horse and cart to Lavington station. 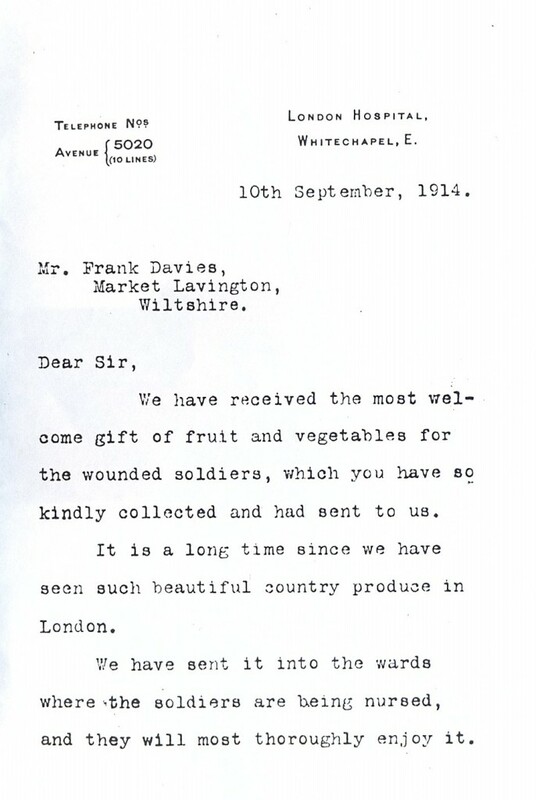 From there the fresh produce was transported by train to London Hospital, Whitechapel where it was fed to wounded soldiers. At this time Market Lavington was awash with soldiers from the Wiltshire Regiment as well as from the Canadian Expeditionary Force. Lavington Station, which has long since closed, had the longest platform in the area to accommodate the thousands of troops arriving weekly. The pressure to feed so many extra people at home would have been enormous. Frank was married to Annie Elizabeth Andrews who came from Gloucestershire. He lived until the early 1950s and is remembered as a quiet and gentle man. 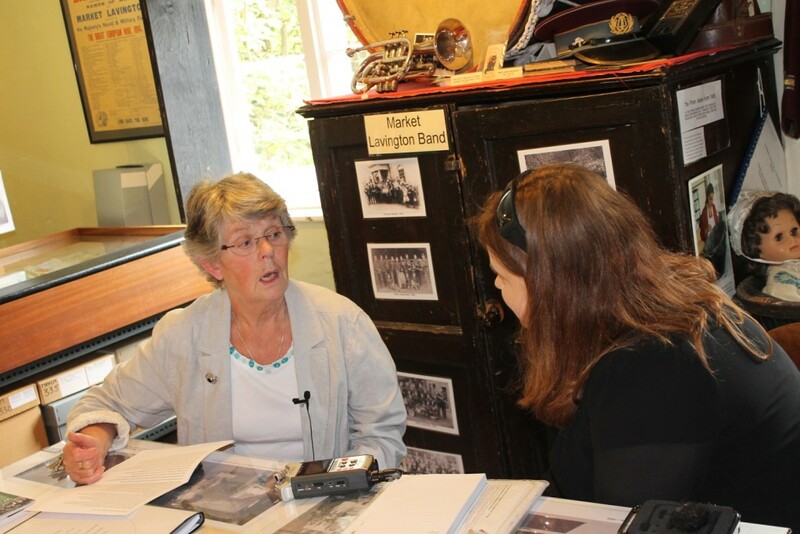 Frank’s story was recounted by granddaughter Carol Treloar in an Oral History interview carried out at Market Lavington Museum on 3 September 2014.